What’s Next for MMA Legend Anderson Silva? Anderson Silva is the #6 ranked middleweight in the UFC. Holding an impressive record of 33-7, Silva is 1-3 with one no contest in his last five bouts. The Spider’s web just shot short against #4 Michael Bisping in a very controversial fight. Silva sent Bisping to the canvas with a flying knee at the end of the 3rd round, but referee Herb Dean didn’t stop the fight because Silva celebrated instead of following the knee with some ground and pound. Silva is a 40-year-old legend who’s UFC reign has been second to none, so who does he fight next? Anytime people see the Spider’s name on the fight card they will tune in to watch him scrap. Anderson should hold off until UFC 200 to fight because he deserves to be on that card. #6 Silva should face #9 Gegard Mousasi who was victorious at UFC London in the co-main event, #7 Tim Kennedy who has taken off since his loss in September 2014, or #10 Uriah Hall who’s coming off a loss to #8 Robert Whittaker last November. Gegard Mousasi recently suffered a loss to Uriah Hall by TKO last year, but bounced back last week defeating #12 Thales Leites by decision. Mousasi is a grinder, but I don’t see him being a massive threat to Silva. Although Anderson Silva isn’t the fighter he used to be, his style is a lot to handle for Gegard Mousasi. Tim Kennedy hasn’t fought since September 2014 when he lost to Yoel Romero. I wouldn’t mind seeing this fight and Kennedy’s return to the octagon at UFC 200. With a black belt in jiu-jitsu and a very strong wrestling background, Kennedy has a good chance if he utilizes his strengths. Uriah Hall lost to #8 Robert Whittaker in Australia in November 2015. Stylistically, Hall matches up the best in this division with Silva in my opinion. Similar styles, using kicks and strikes we rarely witness in actual competition. Hall is a black belt in Karate and has also competed in kickboxing. Silva is an expert in Muay Thai, a black belt in taekwondo and judo, and a 3rd-degree black belt in Brazilian jiu-jitsu. Anderson will have the experience advantage in this fight, but Hall has the advantage in athleticism and youth. The Spider is arguably the greatest of all time, beating the best of the best. 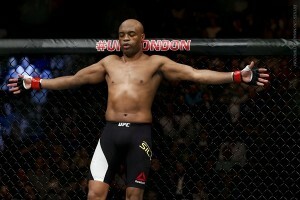 After a superb reign in MMA, Anderson Silva will be known for every astonishing second of every battle he competed in.